Metahuman technology is based on the controlled fusion of biomater and synthetic technology. Pilots are temporarily wired into the superstructure of their ships, giving them unprecedented response time compared to their technologically disadvantaged rivals. Metahuman vessels also have limited regenerative capabilities, allowing them to repair minor damage without any direction from their crew. However, the true strength of Metahuman ships comes from their technological paranoia - most humans are convinced that, at any time, their technology could just stop working. As a result, Metahuman ships are wired throughout with redundant systems, each with multiple back-ups. In theory, this extra tech is a waste of time and materials, but in practice, Metahuman ships tend to survive battle well, as it is difficult to take down all of their vital systems. 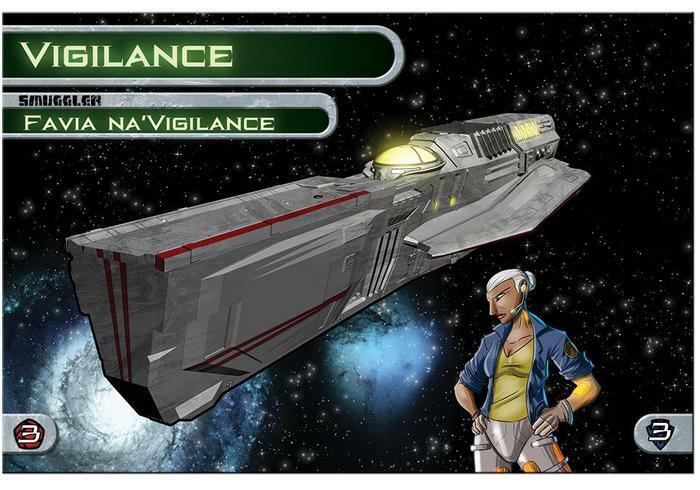 The Vigilance is a purpose-built corvette of obviously Metahuman design, a feature which it flaunts as its greatest strength. Running on multiple redundant processes and boasting perfect symmetry along its length, the Vigilance looks entirely out of place in most modern shipyards. It is a solidly competent ship in every specification, from weaponry and shielding to maneuverability and cargo capacity. Nevertheless, while Vigilance itself is a jack of all trades, its ten-Metahumans-strong crew truly makes the ship shine. Commander Favia na'Vigilance is the commander of the Vigilance, and is known to be a fair but habitually joyless leader. Due to her decades of flight experience, she sees most engagements as life or death, and is highly averse to making quick decisions. 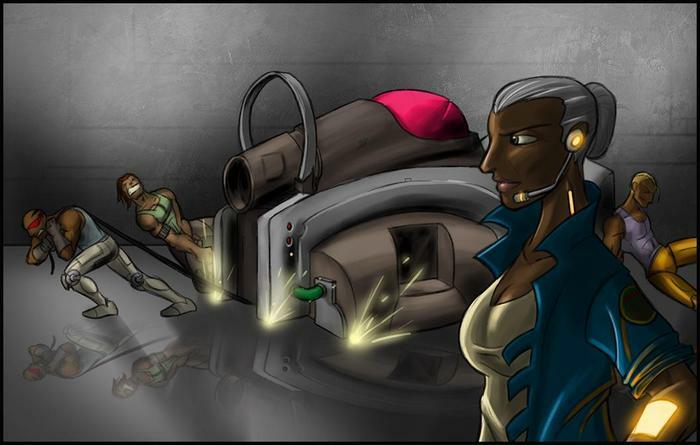 Her skill as a commander, however, is quite evident to her crew, who serve their older commander with intense loyalty. Her success as a smuggler is respected throughout the reaches of Metahuman space, and she is the top choice contractor on long-haul cargo runs for the corporations of the Dirac Legature.